By Dan Ambrose: WBC middleweight champion Miguel Cotto (40-4, 33 KOs) and former WBA/WBC junior middleweight champion Saul “Canelo” Alvarez (45-1-1, 32 KOs) will start their four-city promotional tour next Monday on August 24th in Los Angeles, California to publicize their November 21st fight on HBO pay-per-view from the Mandalay Bay Resort & Casino in Las Vegas, Nevada. The other tour dates and cities will be next Tuesday on August 25th in Mexico City, Mexico. On August 26th, Wednesday, Canelo and Cotto will be in New York City. Then on Thursday, August 27th, the two fighters will complete their promotional tour in Caguas, Puerto Rico. Cotto is from Puerto Rico, and Canelo from Mexico. By hitting both of those countries it will help drive interest between these two catch-weight fighters. Canelo and Cotto have fought their last three fights a piece at catch-weights. Their fight on November 21st will be at a catch-weight at 155. It’s unclear if the winner of the Cotto-Canelo fight will bother to defend it if they have to face the WBC mandatory challenger Gennady Golovkin. But if they do, I wouldn’t be surprised at all if another catch-weight is involved at 155, even though they couldn’t force the issue because Golovkin is the WBC mandatory. The only thing the winner of the Cotto-Canelo fight can do is tell Golovkin that if he wants a fight against them then he’ll have to agree to fight at a catch-weight of 155lbs. If he says no, then they can simply vacate the WBC title and let him fight the little known next ranked contender. Cotto, 34, is coming off of a catch-weight title defense against Daniel Geale last June in a fight that took place at 157lbs. Geale wasn’t too happy at all to have to fight at catch-weight, but he had to do what he had to do in order to get the fight against Cotto. It’s unclear whether Geale would have gotten the fight with Cotto if he had flat out refused to fight at a catch-weight. I don’t know why Cotto needed a catch-weight against the light hitting Geale because it’s not as if he’s a big puncher or anything. Cotto might have used a catch-weight simply because he could. The Cotto vs. Canelo fight will play on the Puerto Rico vs. Mexico rivalry in the U.S. I’m not sure that boxing fans will purchase it for that reason. They can play on it, but I think it’s more of a case of boxing fans wanting to see an interesting fight rather than it being a case of a rivalry. Canelo and Cotto are some of the better fighters in the 160lb division, but we still don’t know how good they are. We won’t know until the winner of the fight faces Golovkin or David Lemieux at some point in the future. We don’t even know when or if the winner of the Cotto-Canelo fight will face the Golovkin-Lemieux winner because they haven’t committed to the fight the way that the Golovkin-Lemieux winner has. 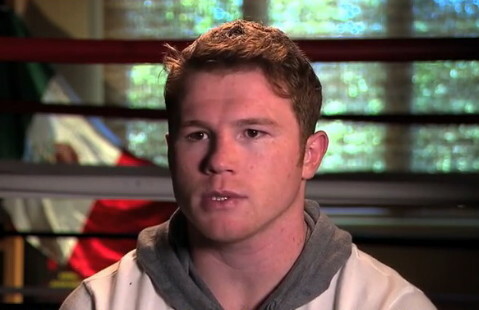 The tickets for the Cotto vs. Canelo fight haven’t yet gone on sale. But that information is supposed to be released next week. You can expect the tickets for the fight to sell quickly with eager boxing fans scooping them up.